Two weeks ago, Latino Review reported that Jason Momoa flew to London for a screen test with the folks at Marvel. Apparently, they were so impressed with his Dothraki skills, Momoa was offered the part of Drax the Destroyer for the upcoming “Guardians of the Galaxy” feature. Well, as of Feb. 21, the same source tweeted Momoa stepped down from the project — quite possibly over money. Marvel is back to screen testing actors for Drax. 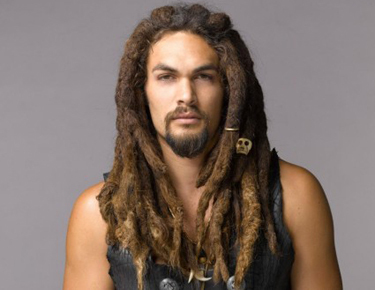 Somebody needs to remind Momoa that nobody saw his last 2 films & take Marvel’s offer. I, for one, am very disappointed by this news. Momoa as Drax was spot on casting. But I can’t say I’m surprised about money being the issue. Marvel is known for low-salary offers, which may have ruined their relationship with Jon Favreau. As for who Marvel could choose now? Perhaps they’ll look back at Isaiah Mustafa, Dave Bautista and Brian Patrick, who also auditioned for the part. Shooting for “Guardians of the Galaxy” is slated to begin sometime this year to make the Aug. 1 release date.